President Goodluck Jonathan on Friday added billionaire businessman Aliko Dangote and the Managing Director of Access Bank, Aigboje Imoukhuede to his newly formed economic management team, bringing more private sector weight to his line-up. Former World Bank Managing Director, Ngozi Okonjo-Iweala was sworn in as Coordinating Minister for the Economy and Minister of Finance last week, prompting the creation of a new Federal Government Economic Management Team. Jonathan will lead the team which includes Vice President Namadi Sambo and prominent ministers across government. Okonjo-Iweala will head a 15-member implementation team that will meet every week to oversee the success of the economic committee. 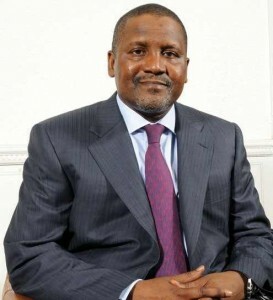 Industrialist Dangote will stand out in a team made up mostly of government officials. He was ranked by Forbes as Nigeria’s richest man and his cement business is the largest listed firm on the country’s stock exchange. Dangote Group currently provides about 40, 000 jobs to Nigerians and pay about N50 billion tax annually. “I expect the member of the economic management team to combine their individual strength to generate ideas and initiative in line with our goals in transforming every sector of Nigerian life, particularly the economy,” Jonathan said.